Primary pupils had a very special guest recently when award winning illustrator and current Waterstones Children’s Laureate, Lauren Child visited Bowhouse. P6 and P7 youngsters from Comely Park and Moray Primary Schools were also there for the stop-off in the Scottish Friendly Children’s book tour. Lauren spoke of the inspiration for her illustrations and where the majority of her ideas come from. She is the creator of the much loved Charlie and Lola series, which was adapted as a popular cartoon for the BBC. Lauren has been awarded an MBE for her work and was appointed as an Artist for Peace by Unesco in 2008. She has now sold over three million books in 19 countries across the globe. 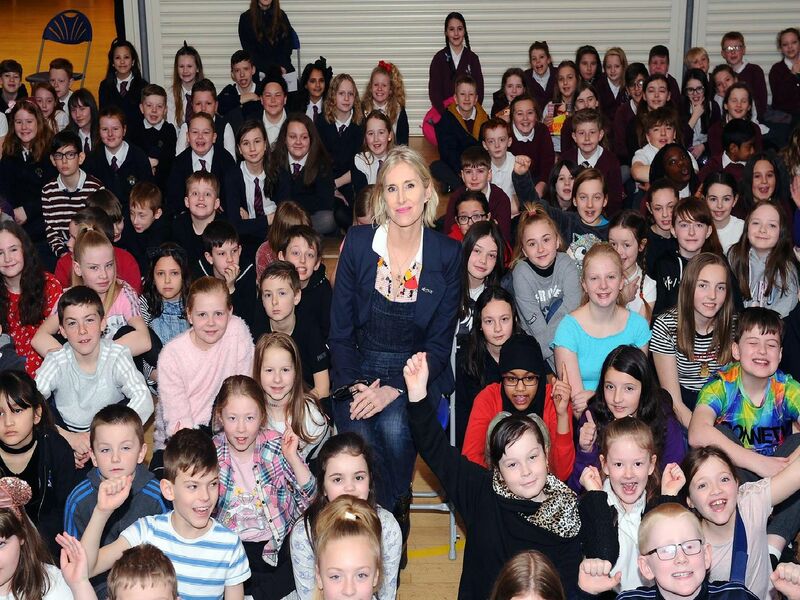 Visit from the Children's Laureate, Lauren Child, as part of her tour of Scotland. Over 250 children from different Grangemouth primary schools present.